Omi Reyes has gone a long way as an artist who started as a textile painter back in the 1980s. In the early days of his career, he painted floral designs on diaphanous and gossamer material to accessorize fashion. Nowadays, his works revolve around modern realism. Fresh from college at that time, finding a steady source of income was the only choice. His artistic soul hungered for venues that can showcase his creativity and celebrate the way he views the world around him through art. He believes that a true artist is one who is not afraid of trying out new ways of rendering art. He plays around with depth and focus, photographic impressionism, abstraction, at times surrealism, juxtaposing different subjects, mixing light and shadow to create a rare hazy, smoky effect evoking evanescence and ethereal landscapes among others. Being a frustrated musician, he says that he always finds a way to convey his musical inclination regardless of his theme as suggested by his works “Rhythm of the Wind”, “A Symphony of Flowers”, “Harmony in Still Life”, and in his most recent one-man-show entitled “Omi’s Symphony” where he focused on musical instruments as a theme subject. Born on Valentine’s Day, Omi exemplifies love, dedication, harmony, peace where his art is concerned. Get to know Omi Reyes up-close, the modern realist who’s painted for the Sultan of Brunei. Enjoy! You painted for Sultan Bolkiah of Brunei. Tell us how your painting/s ended up on the wall of the music room of the sultan’s palace in Brunei? How many are they and what are they about? When did this happen? How did it happen? Did he buy your finished work or did he commission you to paint on his requested theme and subject? It was circa 1997 when I was referred by my late friend Oscar Salita who hired for a commission work at Sultan Bolkiah’s Mansion in Forbes Park. I did several paintings in different parts of the mansion. I painted the headboard up to the ceiling for his master bedroom. Aside from that, I have done some retouch for his indoor swimming pool ceiling since there were already existing murals done by young artists during that time. I was also sent to Brunei to do his music room in his palace but it was more of designing than painting. You attended UE in Manila. You now live in Hulo, Mandaluyong City. Have you always lived in Mandaluyong? You said life was hard when you were a student because your parents were poor. How did you go about it and get by through college? I was born and raised in Hulo, Mandaluyong. It has always been my home. I tried living outside Mandaluyong for a couple of years (in Quezon City) but my heart belonged here so I came back. We were not born with a silver spoon in our mouths but we got by. My parents were micro-entrepreneurs so my siblings and I were able to finish college through that without really needing to work during school. My life as a college student was kind of normal. It said in your bio that you realized that you wanted to become an artist when you took up Advertising Arts at UE. At what point: during your freshman year, in between, or during your senior year? Painting requires a lot of money to learn and pursue and then it is not a practical source of income. How did your parents take it? Were you open to your parents about it or did you mislead them to think that advertising was the route that you were going after college? Ever since I started to learn how to hold a pencil I already knew what I wanted to be – an artist. I just wanted to draw. I hated school. I never knew how I persuaded my parents so that I can take Fine Arts in college. I guess I was just lucky that my parents understood. I majored in Advertising because I knew I can easily get a job at this compared to taking up major in painting. At least I have a chance to get by and be able to feed myself. I knew that painting was really not a practical source of income. Maybe I also realized at one point that I still needed education so I pursued finishing college. After some experience working an office job in an advertising company, I realized that my passion is still painting. After work, I usually painted, so I managed to gather a few of my works. I met an art broker who handled me for about 3 years. After about a year, I had my very first painting exhibit in 1983 at Hyatt Regency Manila. You started in art as a textile painter. How was that like? And how did you transition into painting beyond that and explore other genres? When I was in the last year of college, I met a newlywed couple looking for an artist who can do hand painting on georgette blouses for Rustan’s Department Store. I made different kinds of floral designs and it was a sell-out. As I matured to being an artist, I was able to bring this specific style because initially I used flowers as a subject for my paintings. Then I discovered finger-painting technique using my index and middle fingers with a piece of cloth. Actually, it’s not the flower itself that I wanted to capture because sometimes I don’t even know what kind of flower I was painting. I wanted to capture the beauty in it. For me, it was the essence of what I was doing. You do murals. You like modern realism, nature, flowers, birds and music. Which element most defines you as an artist? What have flowers done to you that they dominate a majority of your art as a subject? I love nature that’s why most of my subjects I painted back then are flowers, forests, birds & mountains. I love music too. I even composed a couple of songs when I was young. I can say that what’s in your heart manifests effortlessly in what you do because I was able to come up with my 13th One-man show entitled ”Omi’s Symphony” (Reborn by Music). I painted notes and different musical instruments like violin, harp, guitar and more. Flowers dominated most of my subjects because way back in the early 80’s to 90’s, art collectors loved beautiful sceneries and subjects that are easy on the eyes and flowers are one of them. These subjects were quite a lot of help financially so I was able to bring my kids to school and feed my family. Art is your full-time job right now? How does that work for you? It says in your bio that your wife Susan helps you. Is she an artist too? How did you two meet and become a couple? How many years have you been together now? Painting is my full time job since 1982. Susan and I met during college and have been married for 33 years now. She was also taking up Fine Arts in UE. She and I are more of partners & best friends. She does what I can’t, which is the selling part. She manages my career. Being an artist herself, she is also aware of the psychology of being an artist. As a painter, it is not easy to sell your own product. It’s not the same as selling a vacuum where you can just go on your day after being rejected for not being able to sell. It is also hard to praise your own works for people to be able buy it. As an artist, you just create. Hence, Susan’s job is really important for me. She’s been very supportive and more importantly, she is my number one critic. I was able to stand and survive as an artist because she’s been my stronghold. How old are you now? How many years have you been an artist? Any children? How about grandchildren? Can you describe how life is for an artist’s family in Mandaluyong City? I am turning 55 this coming February and have been painting since late ’82, so that would be 33 years of my creative career. I have two daughters ages 32 & 30 and an adopted daughter who just turned 16, and no grandchildren yet. They were all raised with the fruits of creative juices of the art industry. As I’ve said, Mandaluyong has always been my home. I feel comfortable doing my works in my humble, little nook at the third floor of our home amidst the busy urban area. I have always found my heart in here. I noticed that your recent works involve some metal or metallic crafts. How did you get into it? I usually use wood, some metals and resin. It’s called “steam punk”. I was not aware about this genre until a friend of mine told me about it 3 years ago. I never knew it existed. I was doing this style since 1985 but during those times, it was a not a very sellable technique because art collectors weren’t that open to this kind of works. I had to survive. I had to provide for my family. So I had to settle for sellable works instead, such as floral, landscapes and still life paintings. Only when my children finished school was I able to go out of my comfort zone and went back to this genre which enabled me to freely express what I really wanted to do. So since 2010, I was doing this style. Aside from having Sultan Bolkiah as a client, his brother; and some churches in the Philippines, what other work/s are you proud of? I’m really proud of my latest works, because as I’ve mentioned, I just got out of my comfort zone. The fulfillment that I feel when art lovers appreciate my works is beyond compare. Unlike before when I paint to sell, I do what I love now and can care less about whether or not people will buy it. Good thing is that many people are open to a wider range of style now so they are captured by my sculptures & wall reliefs. Buyers are just a bonus for me. What are the latest breakthroughs or significant upcoming events in your career that you might like to share to our readers? I have an upcoming group show that will be held in July 2015 in Art Center SM Megamall and a solo exhibit in Serendra. I cannot give away the details yet as we are just in the planning phase right now. But these are the things that I am looking forward to now. All images courtesy by the artist. Note: Images are linked to Artworks by Omi’s Reyes artist Facebook page. I think I watched a show that featured him on tv or did I read an article somewhere. His work is a thing of beauty. Its been a while. Nice hearing from you. Yes, his work is a thing of beauty. Love it! I’m all right now. I was in some kind of trouble (nothing illegal or deadly don’t worry). I’m currently trying to go back to employment under a company, so been busy? you? I am good. For a while, I stopped blogging because busy with work and projects. But now, am back again but changed my blog into featuring filipino artist. I believe that’s a good thing. 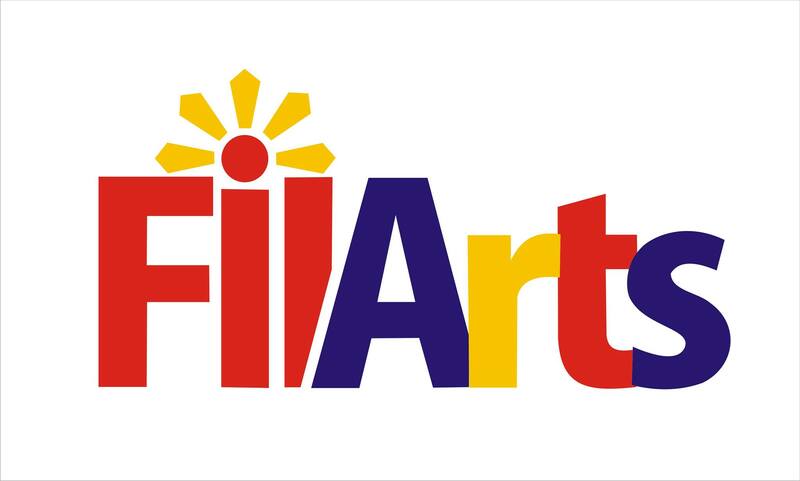 Maraming magagaling na pinoy artists na nasa Pinas. You’re welcome. I follow your blog because I sincerely like you. Will be working on my next feature. Yup, ang dami.. Super dami talaga. Enjoy nah enjjoy ako sa blogging! Omi and Susan are one of the best couples I have ever known. I like his art also. Thank you Lawrence. Yes, I was happy when he agreed to be featured in my blog. Love his art too.